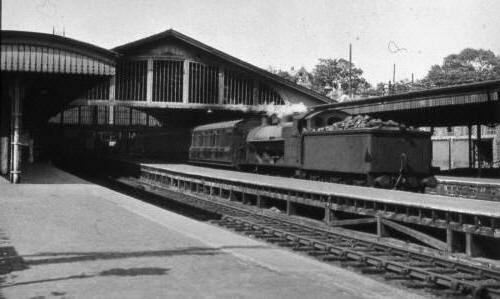 Built by Isambard Kingdom Brunel, as the terminus of the Vale of Neath Railway in 1853. 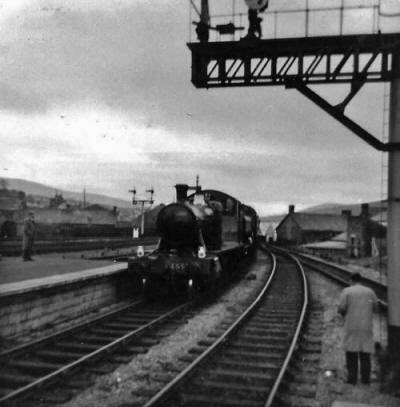 Merthyr Station in the 1950's. 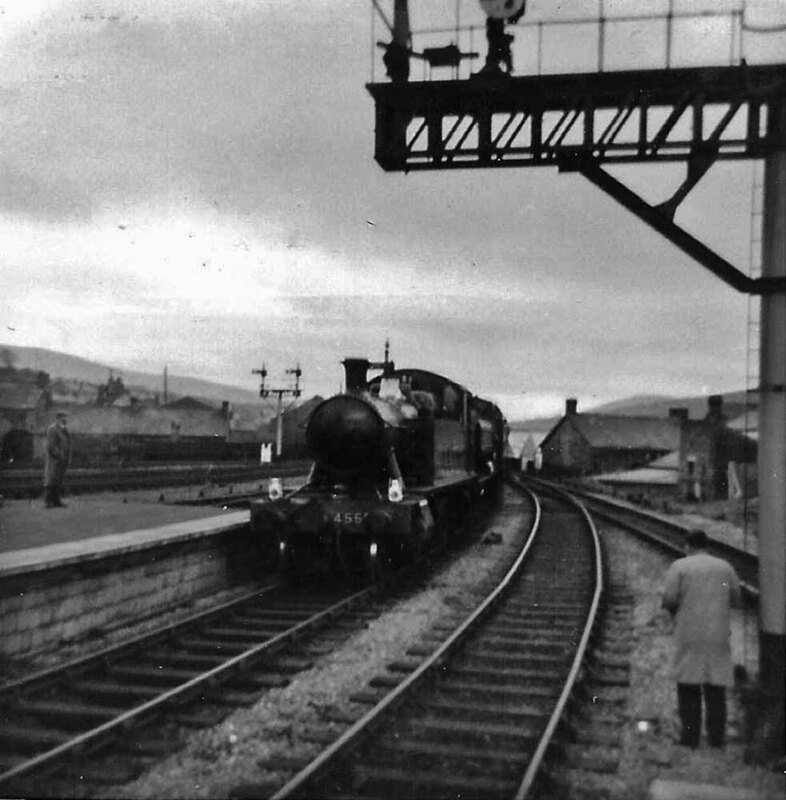 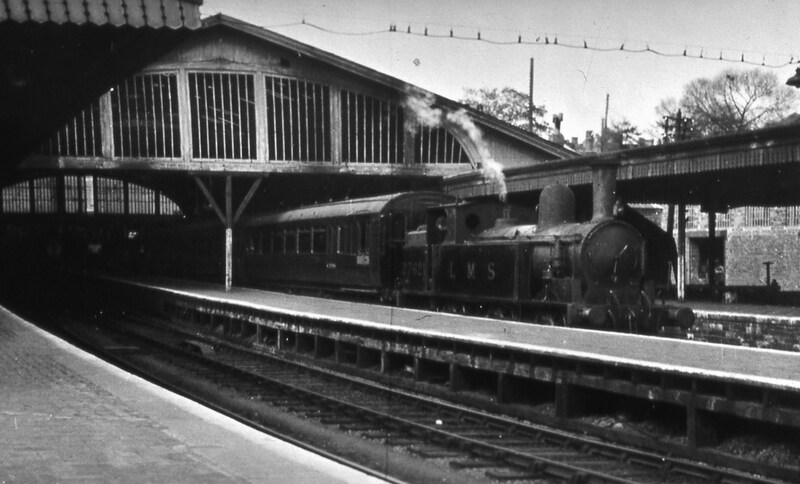 Merthyr Station in the 1930's. Another view of the narrow middle platform. 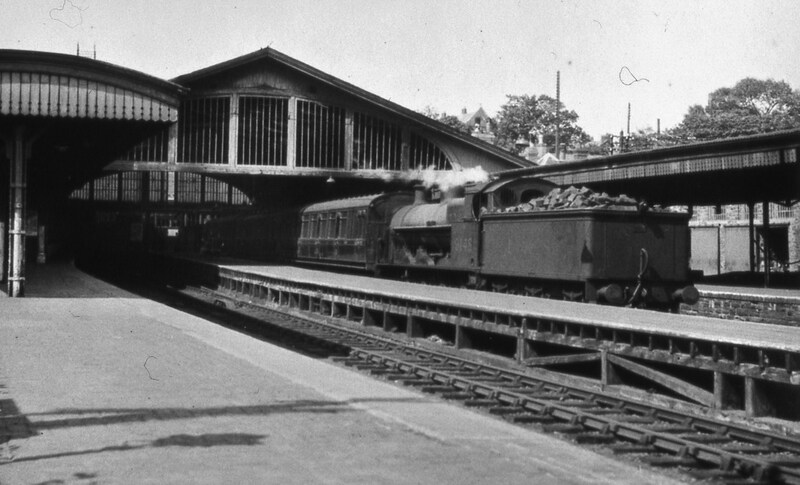 These two photographs show the the large roof of this Brunel designed Station. 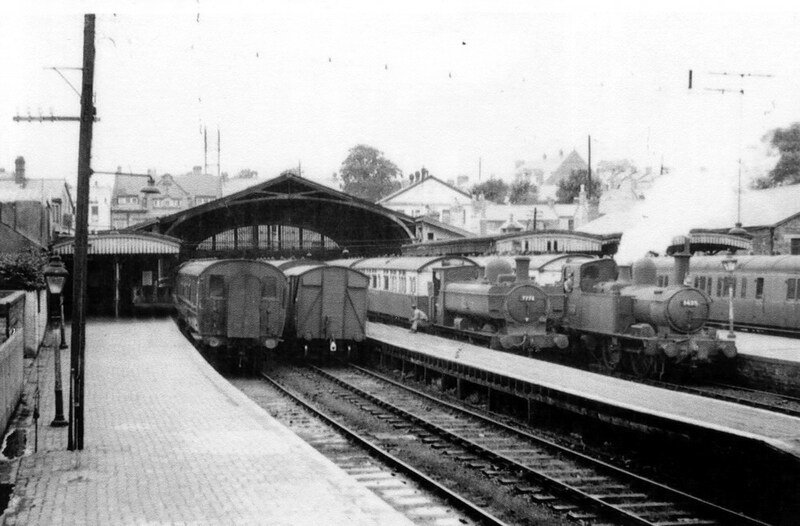 Merthyr Station in the 1960's. 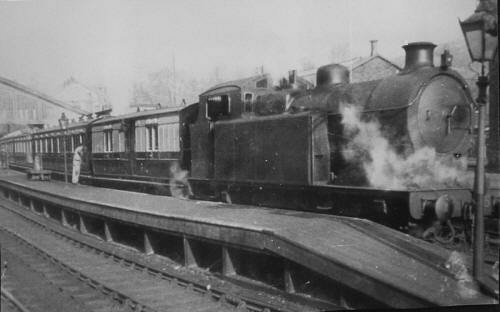 All Change. 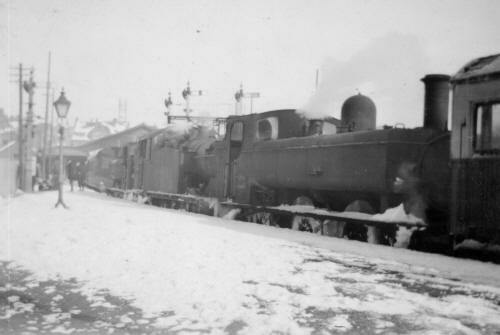 Diesels have arrived. The old roof has gone. 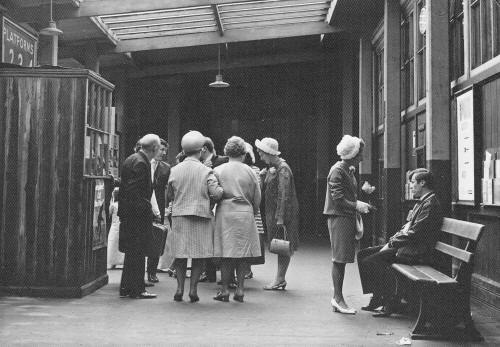 The refreshment rooms are closed. Its the beginning of the end of a once very busy station. 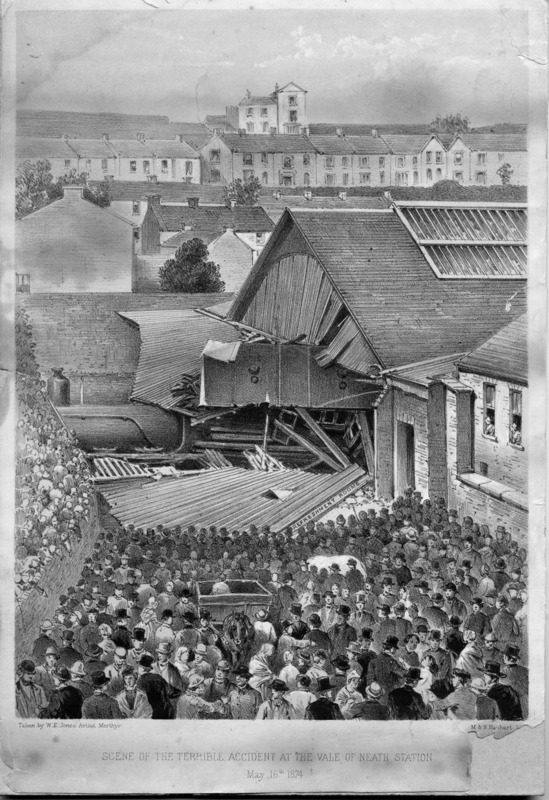 Scene of a terrible accident 16th of May 1874. 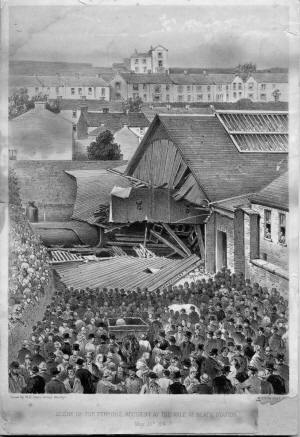 Cefn Coed and was hit with such force that it went over the buffer blocks and out into John Street. 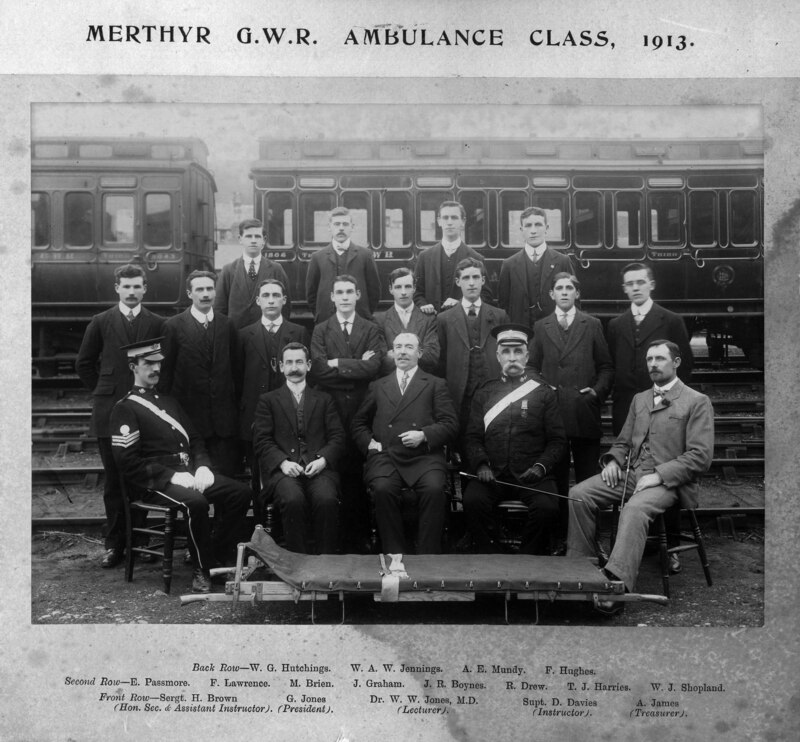 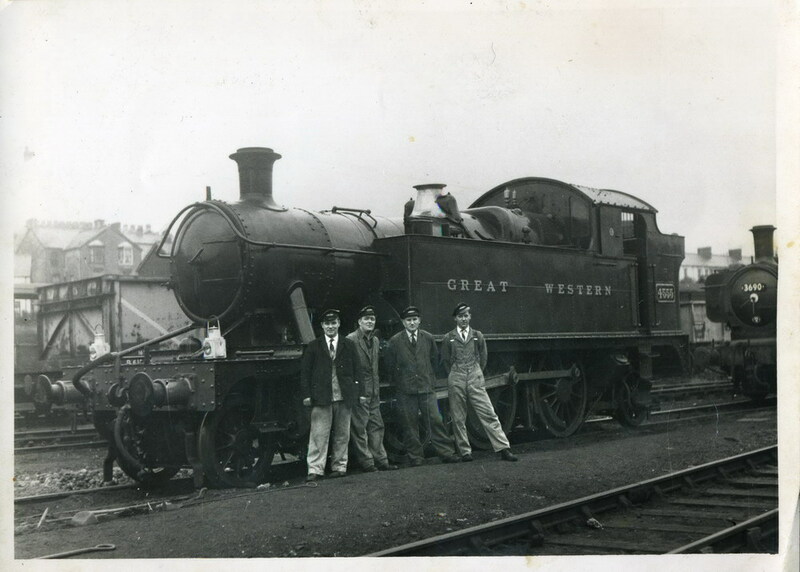 Merthyr GWR Ambulance Class 1913. 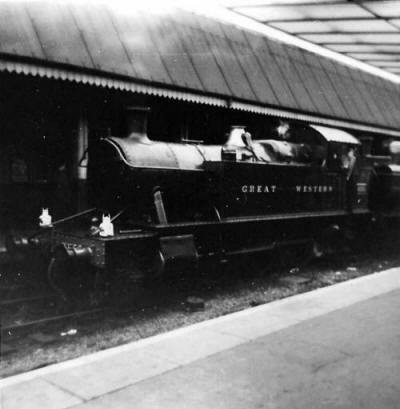 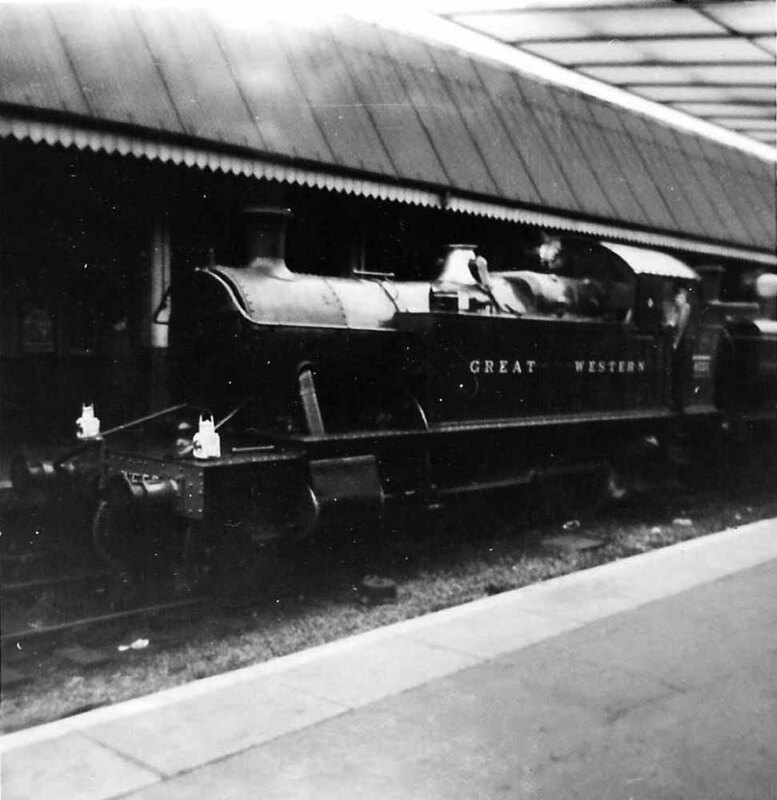 Ex B&M No 20 at the Station in 1922. Ex B&M No 17 and TVR No 165 1922. 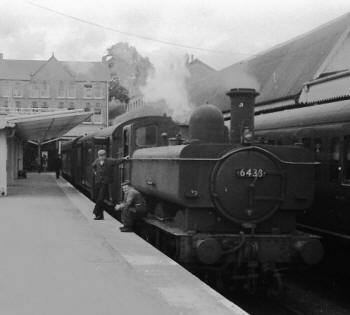 The large building to the left of the engine is the Bush Hotel which later became Woolworths. 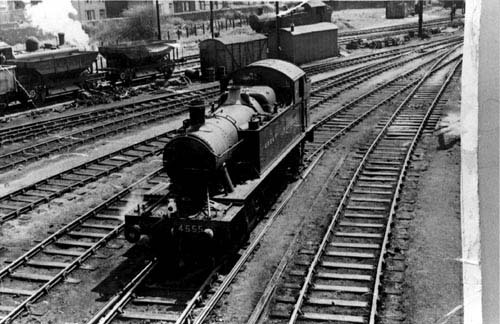 Merthyr Station Goods Yard GWR . 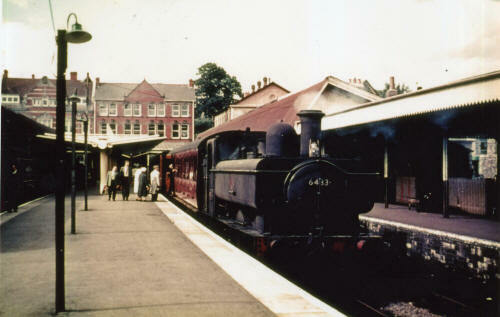 used on the Paignton - Dartmouth Railway. 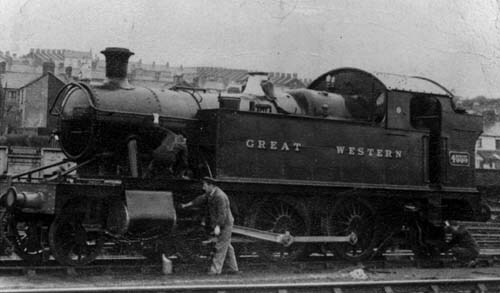 It now carries the name 'Warrior'. 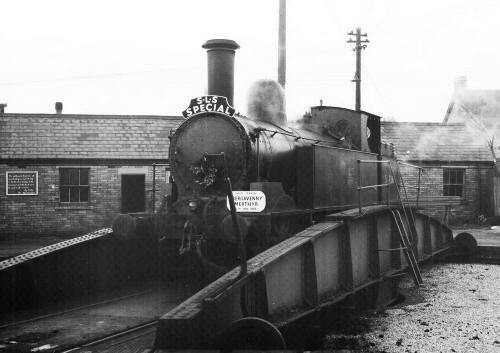 Merthyr Station Goods Yard - GWR. Dewi Williams is third from left. 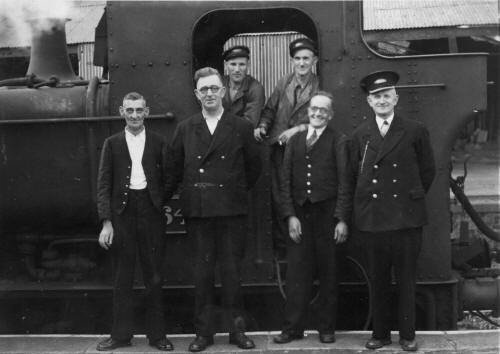 Driver Dewi Williams is in the Cab on the left. Do you have photographs or information for this page?